A celebrity always attracts crowds - people flock to see royalty and presidents. And here we are at Christmas, with the greatest of all! And so few there! But how few today flock to him? Of course his situation was humble, a baby in the manger, but the angels announced the coming of "Christ the Lord" (Lk 2:11). We battle to realise his Lordship, but perhaps we should battle more with how the Lord could become a baby - of course easy for the Lord of all! The Lordship of Jesus is the essence of Christianity. The message of Christmas is EMMANUEL, so a Lord with us! Jesus is God. This is seen by many miracles, of healing, feeding etc (eg Lk 5:8), by his claim (eg Jn 8:58), especially by his resurrection. But then Jesus shows us what God is like, a God of love. Jesus is creator. See Jn 1:3, Col 1:16 etc, and the resurrection shows his power over the life that he made. Then Jesus shows us what His power is like, he is the God who limits Himself for us. More importantly, is He YOUR creator? Is he creating and guiding your life, or are you trying to run it yourself? 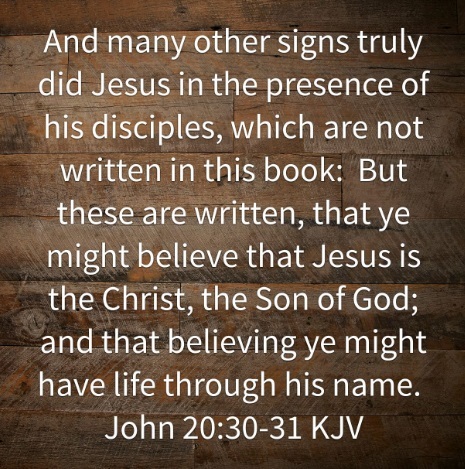 Jesus is redeemer. The angels, spoke of the coming of a saviour (Lk 2:11). He came to die for our salvation. Then the resurrection is power over death. He gives new life and Jesus shows us what new life is like, repentance and obedience. Most importantly, is He YOUR redeemer? Do you belong to Him? Are you serious about his lordship? In the fourth century there was a big movement, like modern Jehovah's Witnesses, that said that Jesus was divine, but not absolute lord. A man rose up called Athanasius, who knew that only full God could save. If Jesus is not fully God there is no salvation. He was prepared to suffer for his Lord, and so for us - are we? The wise men came to Jesus to worship (Matt 2:11), they recognised the LORD. What of us? And let us be serious, not just using the word without meaning (Lk 7:46)! 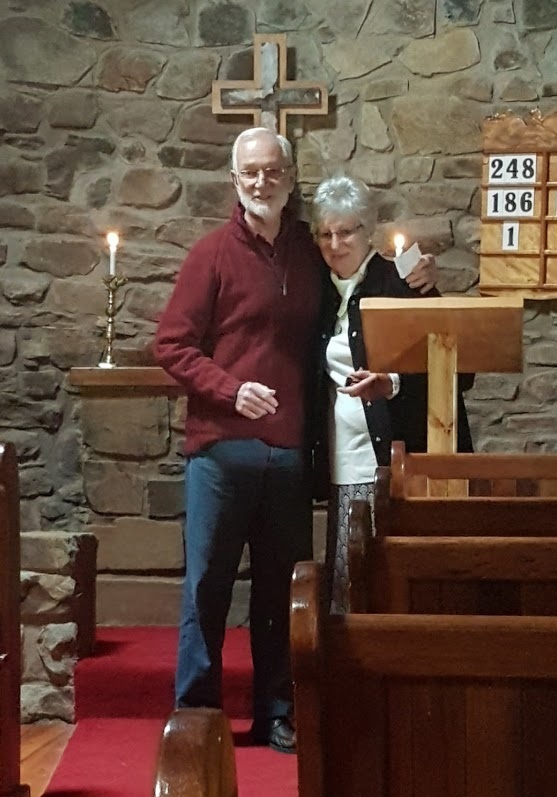 Rev Margaret Fourie is back to take the Christmas services – Sunday 24th at 10am; Christmas Day 25th Holy Communion at 8am and Christmas Family Service at 10am and Sunday 31 December 2017 at 10am. We welcome you back, Margaret, and look forward to your services. Christmas Services will kick off on Christmas Eve 24 December 2017 at 5:30 at St Patrick’s with a Carol/Crib Service. We especially welcome our young ones (and young at heart), so please bring your children along. 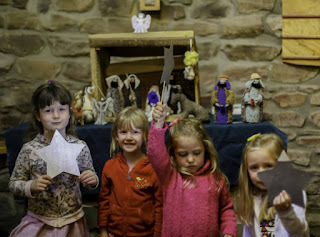 The service will capture the Christmas story in song with the children assembling the crib. Gwyneth Lloyd will sing special items. The Service will be led by Norma Fivaz and Ann Webster. 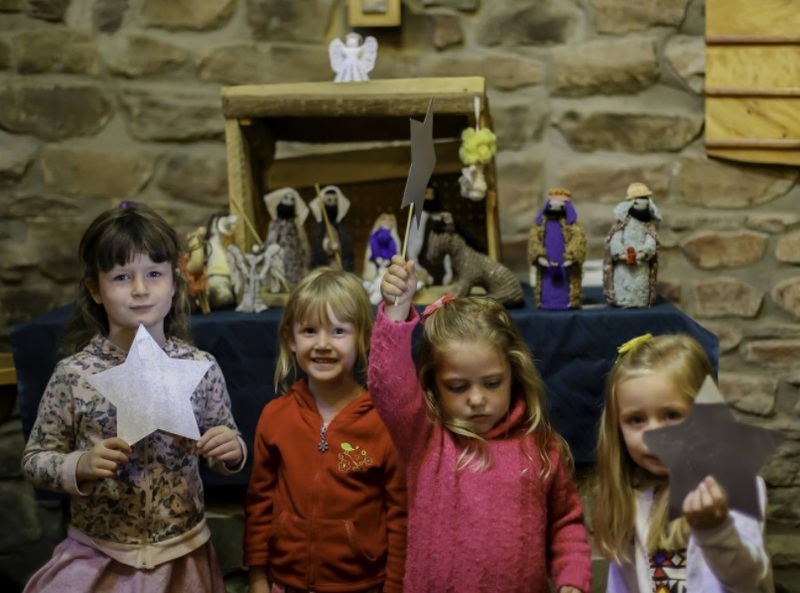 For those early risers (the ones that want to open their presents asap, Christmas Day (25 December 2017), we will start Christmas day with an early morning communion service at 8am at St Patrick’st St Patrick’s. The Christmas Family Service will be lead by Rev Margaret Fourie at 10am. We were hoping to hold the Christmas Family Service in the Arboretum but Forestry is not able to open the roadway yet. Let’s hope that by next Christmas we are able to return to the forest for our service. If there is any change, check back on this blog for updates. 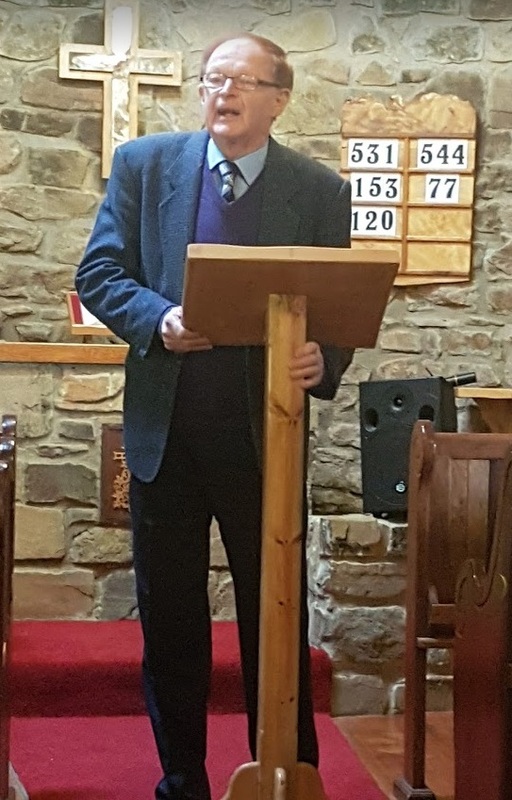 This Sunday we were very blessed indeed to have our Afrikaans minister, Leon Van Niekerk, visiting us from East London. Where do you like to holiday? I like the mountains, but I need help there! They are hard work! So the mountains make me think of the need for help. Perhaps the most common prayer is for help; it is frequent in the Bible. And help is promised (eg Ps 121:8). The psalm promises three times that God will watch over us (NIV). The older RSV translation uses the word "keep", which is both a better translation and more comforting than just watching. The psalm says that God preserves, and protects, and then says " From now and for evermore", again a better translation than the NIV. So for help we go to GOD, so lift up eyes to the hills! They are not the source of help, but often speak of God. He is our Ebenezer (rock of help) (cf Matt 7:24f). It is not surprising that God is often associated with mountains (cf 1 Ki 20:23,28). Many significant things happened on mountains, eg Ararat, Sinai, Zion, Bryn Calfaria (Welsh for hill of Calvary. Look to God, look away from troubles. Psalm 121 is "A song of ascents", sung by pilgrims on the way to worship in Jerusalem. After all, He MADE the hills (Ps 121:2)! He is able and reliable, there is no sleeping with him! But if we want God's help, we first acknowledge the need! The problem is that we are loath to, liking independence - asking for help offends our pride! This is the root of sin. But we need God's help, both for salvation now and for evermore - we cannot save or help ourselves - why are we stubborn? Our faith recognises the priority of grace, that salvation is not earned, but is a gift. But then we work to develop God's salvation in us (Phil 1:23). Part of this is that we help others by God's strength in us. Helping is working together (Phil 2:13). 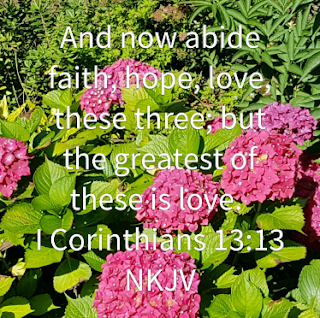 Love one another as He loved us. So God sends helpers! Eve was created as Adam's helper (Gen 2:18), the Holy Spirit is aparaklete (called alongside). Through him we are helped and God shows us what to do. Then, amazingly, while we pray "Help me! ", God requests OUR help! He gives us the privilege of service. If being helped offends our pride, here is something to be proud of. We are his workers in the world. At his inaugural in 1961, President Kennedy appealed, "Do not ask what your country can do for you, but ask what you can do for your country". So do not ask what God can do for you but what you can do for God! Our Retreat this year promises to be another stimulating spiritual experience. It is to be held at the Grasslands farm 10km from the village and at the foot of the magnificent Hogsback Mountains. The cottage has lots of space, good facilities, beautiful views and access to walks. We plan to spend two nights: Thursday and Friday the 3rd and 4th November 2017. However, one can choose to spend only Friday night as Thursday afternoon and Friday morning will be free meditative time. Ds Dr Leon van Niekerk will lead the official programme from Friday afternoon to Saturday afternoon with the theme of Relationships. He will take the service on the Sunday when we will report back to the congregation on the Retreat. Please contact Norma phone 045 962 1017, if you would like to attend. There is still limited space available. We look forward to a great Retreat. I am always glad that I am busy, and have a house to maintain. Are you a builder? Or just content to sit? We NEED to build, as we need a house, but also need to build the church, and to build our lives. Jesus was a workman! And seeks to build his church (Matt 16:18), but He builds through us. But even if we do the work, we must always remember that He knows what to do, so we must listen, which is the key point of the parable! His word is essential. So the parable is at the end of sermon on the mount, which gives our instructions. Just before this, Jesus talks of the danger of false teachers (Matt 7:16, 22). These can be popular and persuasive (Matt 7:13), and even able to do miracles! Jesus thus says that they are known by fruit not works, what they are not what they do. And do we think that we know better than Jesus? The parable is of two houses, identical but with just one difference - the foundation. The one which lasts is built on the ROCK. What is this? Jesus builds his church based on Peter's confession (Matt 16:16) of faith. Peter's name means the ROCK, and we are likewise saved by our faith. In Jerusalem there is the Dome of the ROCK, over the place of Abraham's sacrifice. Our faith rests on the sacrifice for our sins by Jesus. In a building the foundation is not seen, neither is our faith immediately visible - Jesus is humble. 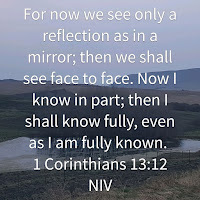 Paul also says that there is no other foundation (1 Cor 3:11). We must build on that rock to avoid disaster. Note that we do not make the foundation - Salvation is a GIFT, only to be accepted by us. What matters is that we build in the RIGHT place. The wrong place is ultimately useless - where are you trying to build? This matters because of the rain, flood and wind. They WILL, not might, come. And there will be other problems! But these do not affect the foundation. Troubles are hard, but they are not disastrous, and so trouble need not disturb your faith. In contrast, the house on the sand WILL fall. In any case, we all die! But usually there is a warning first. Often the wall will crack before it falls. What do we do? Do not try to strengthen the wall (which is often our solution), but which will not ultimately succeed. The only cure is a good foundation, so to move to the rock. Swallow your pride! And then? You cannot live just on a foundation! Build on it (1 Cor 3:10f), but with two requirements. Let Jesus be the cornerstone (1 Pet 2:6f), and use good materials, not wood, hay and stubble! But finally, that house is for this life! I am looking to the one that Jesus is Himself building for us (Jn 14:2), in heaven. If you are one of the older contingent, it is probable that the Bible sometimes misleads you. The old King James or Authorised Version refers in our text to a glass, and we probably think of obscurity from dirty or poor glass. Today however, there are many translations, so we get an accurate translation. Having an intelligible Bible is a great privilege since Wycliffe and Tyndale, who suffered great persecution to translate it. Glass was actually very rare in Bible days, the reference is to mirrors, which were made in Corinth. We take mirrors much for granted, but they are very useful. Through them we know the world better; astronomical telescopes use mirrors to magnify the light. There is actually a new one about to be put into orbit, an improvement on Hubble telescope. The hope is that through it humanity will better understand the origins of the universe. My hope is that it will then be clearer that God is the almighty creator, and no other explanation of origins makes sense. "The heavens declare God" (Ps 19), and mirrors aid that declaration. Get somebody to help us - remember the log and speck (Matt 7:3f)? And then? Again look at the context! 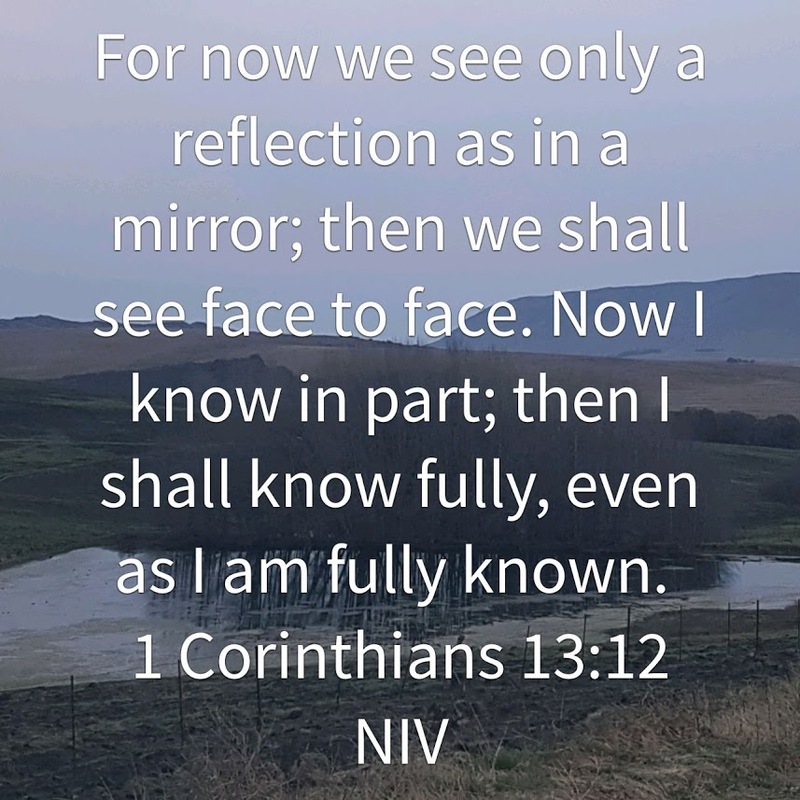 A reflection is good, but it will be better in the future: we will see Him face to face (1 Cor 15). But for now - enjoy His presence (1 Cor 14)! I feel moved to share with the congregation of St Patrick’s the celebrations of St Bart’s, Alice, this week-end. 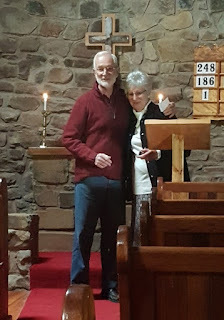 St Bart’s is, in a way, our ‘mother church’ as when the Hobart Houghtons left St Bart’s to live in Innisfree, Hogsback, they built St Patrick’s. The two congregations used to picnic together at Hogsback at Christmas time. We were invited to participate in the celebrations. Liz Thomas gave advice to the St Bart’s planning committee on how to manage their celebration which they implemented and were grateful; Derek Fivaz made a section of the crucifix that was used in the service; Carol Nieth created flower arrangements for the service; we lent our bishop’s chair for the Archbishop and I wrote a history of the church that was sold for funds and used by the bishops for their speeches. 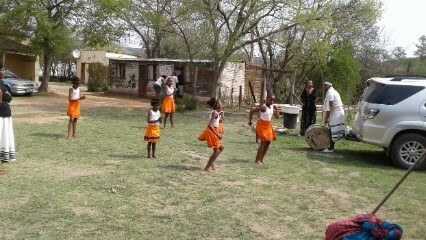 We enjoyed the functions and they appreciated the support of St Patrick’s. Chief Burns-Ncamashe, who lives in the Chumie Valley, gave his subjects an impassioned speech on their history and later made a presentation to the Archbishop; Bishop Ebenezer Ntali spoke at the Gala Dinner on our heritage and the positives of the missionary legacy; Archbishop Thabo Makgoba preached on social justice and the need for principled stands at the colourful Communion Service. It was noticeable to see the mutually respectful relationship between the church and the Chief. The Archbishop explained that he had apologised to the chief for the damage done to his people by colonialism and the chief made a presentation to the church in appreciation for its moral stand. 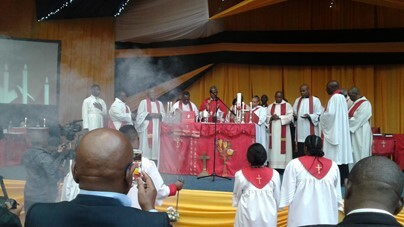 The celebrations were fun and an impressive get-together of the diocese and interested partners. 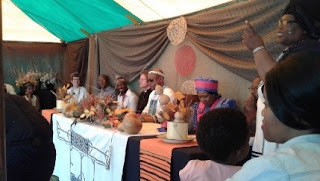 What was noteworthy was the respect for our heritage and the role of the missionaries; respect for conservation and the green lobby; harmony between the leadership of the church and that of the Rharabe Gwali tribe; and the sincerity and leadership of the Anglican Church in making principled stands for social justice and a more equal society. The Anglican Church leadership gives positive leadership and hope for our country and is not scared of criticising wrong doing. We left the festivities with renewed hope for the church leadership of the Anglican Church and glad that we could have been part of the ceremonies. It was very valuable being part of the wider Christian church. Norma touched on something this Sunday in such a practical way that We need to come back to it and make it our own on an ongoing basis. The Old Testament reading (Genesis 37:1-4, 12-28) was the story of Joseph which formed the backdrop to Norma's message. It presented a familiar situation of the old father, Jacob who send his favourite son to go and check on the rest of his sons, where family politics created an almost unimaginable cruel scenario of brothers plotting to kill the favourite brother, Joseph, by throwing him in a well. One brother, Reuben, tried to safe his him by convincing the others to rather sell Joseph as a slave to merchants, who then resold him in Egypt. Where was God at this moment? How can He allow this to happen? An example to draw from is the life of Brother Laurence, a 17th century monk (1614- 1691), a Godly man, born in the eastern part of France. Due to extreme poverty of his times, he joined the army and fought in the Thirty year War. He lost his right arm, returned home and decided to join the Carmelite order of monks. He had no education and was allocated to the kitchen, where he repaired sandals for the rest of his life. Despite his lowly position in life, many people were drawn to him. What was his secret? He lived the art of practicing the presence of God. James Goll wrote a book called "The lost art of the practice of the presence of God" in which he states that if you hunger for more of GOD and less of yourself, these principles are for you. We need to take an inward journey, proceeding into His presence. Mary at the feet of Jesus, hair loose ( showing her vulnerability), opening herself up, to express her utmost love & respect for her Master. The Last Supper: that intimate meal with Jesus' closest friends....discussion time, clarifying "how would we know".....and then just listening....no talking. This is the road to intimacy ....daily, making time to interact with Jesus, whether you're getting up and looking at the sunrise, seeing God the creator displaying His artwork, or walking in your garden, hearing God speaking thru' His beauty. Maybe stopping with whatever you're doing, bowing in a moment of reverence and awe....respect for who God is. If we yearn to be intimate with Christ, we must learn to be still. We can learn from the story of John Ortberg consultation with his mentor, Dr Dallas Willard. John complained about the little change that he saw in his church. He asked how he could achieve a deeper level of spirituality in the church. He wanted to know what he should do, to excite and enthuse the people. John was disappointed and pointed out that he was not asking about myself! He wanted to know what to do about the congregation. Dr Dallas stressed that the main thing you will give your congregation, just like the main thing you will give God, is the person you will become. If your soul is unhealthy, rushing around in “doing” lots of things, trying to achieve huge numbers......your soul will be unhealthy. So you rather should spend time with God....sit and listen to Him, without interrupting Him, or telling Him what He should do. Just being with God is enough. Meditating on Scripture......that is a tool of quieting oneself . Here we are not talking of New Age meditation or Far East methods of being still, Concentrate rather on maybe on ONE verse, one word that speaks to you.....and let the Holy Spirit speak to you through that portion.When we let our minds dwell on Scripture, the Holy Spirit, who inspired all Scripture, interprets it in our hearts, and brings our spirit into harmony with God. Be ready to deal with distractions....your mind begins to wander …..outside interruptions. What should we do? Madame Guyon suggested to focus on Jesus. Imagine you are sitting there with Him, looking into His eyes, waiting for Him to do the talking. Initially you may think this discipline of solitude, is a waste of time. However, the discipline of solitude is one of the most powerful disciplines in developing your prayer life. The more we practice this, the more we hear God's voice and the more we will be able to practice His presence!! 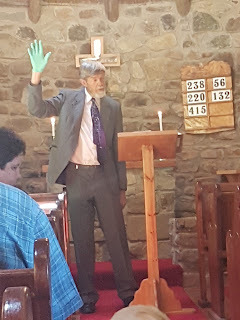 Sermon Sunday 17th July: How are we remembered? There are many people, indeed most, that we do not know, but there are some people we have all heard of! One of these is Mark, the writer of the second gospel. This was probably the first to be written; some suggest that it might have been Peter's gospel, Mark acting more as his scribe. Apart from the gospel, there is very little that we know of Mark, but what we know can encourage us. The first reference is an embarrassing incident (Mk 14:51), where most think that the young man who ran away naked was Mark himself. Definitely an embarrassment, but then all the disciples should have been upset by Gethsemane - they all failed! And that applies to us as well, as it was our sin that took Jesus there and to the cross. Incidentally, it was right for Mark to leave his clothes, right to avoid unnecessary suffering. If he had held he would have been arrested. Is that us? Do not be captured by possessions! They can easily hinder our service, possess us and not we them. "The love of money is the root of all evil" (1 Tim 6:10). The second reference is another embarrassment (Acts 15:36). Paul and Barnabas fell out over Mark, who had let them down. He was then rejected by Paul, who quarrelled with Barnabas and separated from him. There was a "sharp contention", surely wrong? And indeed Paul later specifically rejects contention (1 Cor 13:5). Indeed later, Paul changed his mind (2 Tim 4:12). We should be willing to admit mistakes. We should just note that Mark's weakness was even after seeing the cross and a miracle (Acts 12:12). Faith comes from more than even wonderful experiences such as this, but is God's gift to us. After that experience, Mark was taken on by Barnabas, his uncle (Col 4:10). Barnabas' name means "son of encouragement", and he lived up to it. We should encourage our children, and especially our children in the Lord, seeking to build them up, and accepting that all fail from time to time. The Holy Spirit, the comforter, works through us. Mark was one who knew failure - like each of us, but then, like all of us, including Paul, found the power of Christ over weakness (2 Cor 12:9). Mark then became a great disciple, as a great helper! He was not one of the twelve, but did a wonderful service. Not all are called to lead, not all are called to preach; the church is a "body" (1 Cor 12:4f), made up of people with many different inter-relating ministries. Mark found his ministry in writing, and as such is still helping us and the Church as a whole. In that he was guided by the Holy Spirit in inspiration. He left a legacy and possibly even more; there is a tradition that he was the originator of the Coptic church, very strong in Egypt and surrounding countries. The story of the appearance of Jesus to the two on the way to Emmaus strikes me as a clear indication of the truth of the resurrection - there is just no reason to invent such a story. More than that it is a revelation to ordinary people; God is no respecter of persons (1 Cor 1:26). Not only does he reveal to ordinary people but he also witnesses through the lowly. What however does matter is that they were disciples, wanting to learn of Jesus. The two had been stimulated by events of the previous days, but Jesus also opened the scriptures. Do we take the trouble to read them? This is essential for us as well if Jesus used them. However, as now, they needed interpreting. Significantly, as Jesus was explaining, their hearts burned - was this the Spirit? We will never understand without him! Their perception of Jesus was of a prophet and doer of good (Lk 24:19), so they needed more. Jesus rather said that he had to suffer. This only really makes sense if he is the son of God, dying for us to atone for sins. When they got to Emmaus they invited him in, wanting to continue. Incidentally, this shows the value of hospitality (Heb 13:2). More seriously, have we invited Jesus into our lives? 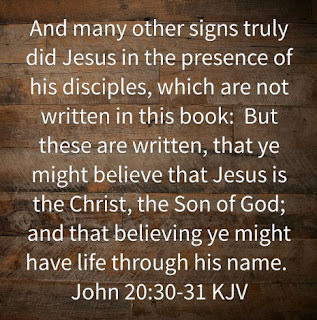 Then came the experience of Jesus when they saw who he actually was. Their eyes were opened; God has to act if people are to understand - the best we can do is to PRAY! Jesus was recognised in breaking of bread, a familiar act - may we perceive him as we come to the table. He then vanished from their sight, as he did in other experiences. He is usually hidden from us. 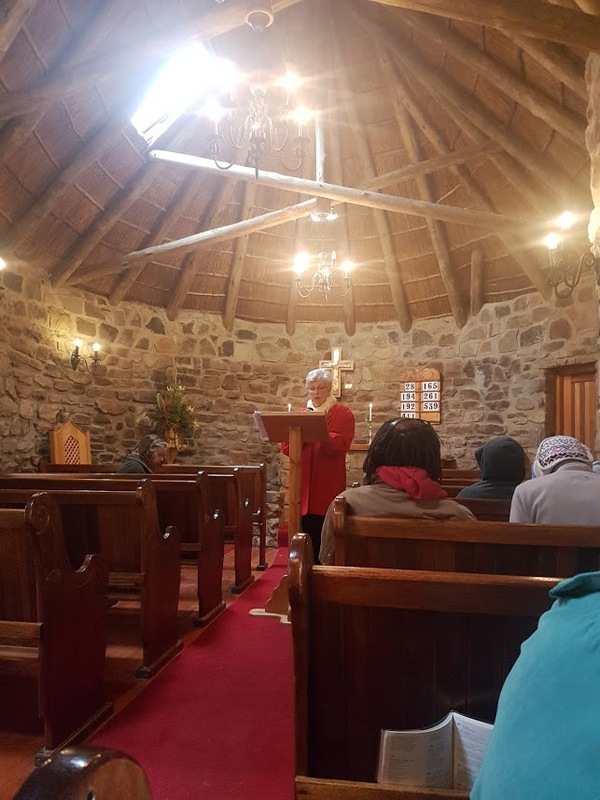 We were very blessed last Sunday when Liz Thomas was inducted as our resident priest at our little chapel by archbishop Ebenezer Ntlali !! She has been serving our community since Margaret has left with gentleness and consideration. We are all happy to know that she is know Official!! Sermon Sunday 26 February: Is life easy? Is life easy in SA? Is life easy for us, here in Hogsback? She related personal stories from her childhood when despite her parents severe health challenges , her father still prayed: "Thank you Father, that You are so good to us......."
So how did he manage that? Matt 7:24-27 give us the answer. 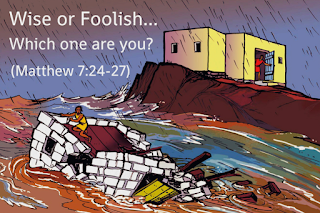 Jesus tells the story of a house that had been exposed to such a storm where the rain lashed down and the stream rose while the wind blew against the the house. Yet, it did not give way. Why? It was built on a rock......THE ROCK. This is the secret that Jesus shared with the crowds on the side of the mountain so many years ago. He wants to share this with us this morning. What does He say? If not in practice, hardships will push you over. Norma shared an anecdote from her personal life: When she was visiting her kids in Denmark last August, Troy, her grandson, got very sick with chickenpox. With his low resistance and immune deficiency, it became an overwhelming infection. As young as he is (3 years old) he asked his father: " Daddy pray for Troy......I am not feeling well"
Because as a family they know where their strength and power lies....in times when life is at its worst, when they are in a critical moment, they know to who & where to turn to. Don't become slack on maintenance. You may think that you have a smart house.....your faith is fine because years ago you gave your life to God......but, it is not enough when the storms come today. Your maintenance must be in place. Stay in regular touch with the Builder. Do we choose hardship, suffering, difficult times? Of course not. But why then does God allow these things to happen to us? He had built in time, on the rock. Are you planted, built.....on a rock? Then even if life is not easy, you will be safe! Ash Wednesday marks the start of Lent, a six week time of reflection and repentance in preparation for Easter. The simple service includes a reading and prayers. The service will provide the opportunity for individuals to have the sign of the cross marked on their forehead in ash as a poignant reminder of our mortality. 'Remember you are dust and to dust you shall return'. We will also have a time of silent thanksgiving for the life of Lyn and prayers for the family. You are welcome to come to this short service and to participate in whatever way you feel comfortable with. When did you last pray for Zuma? Or, for that matter RSA, or for the USA with its new president? But the Bible tells us clearly that we should! Is there nothing that we can do about the big issues - are they beyond us? We can, and should, pray. But the little things? What do you do when things are not what you want? What do you do when we feel that others are wrong? Do you protest, complain, or worse? Samuel prayed! The people of Israel had made a big mistake in asking for a king - they wanted to be like everybody else. But God did not just reject them, and God did not just undo the mistake. God brought good out of the mistake. An early church father said that God even did that for the first sin, because it gave us Jesus - O felix culpa! (o fortunate sin! And Samuel prayed! Sin against ourselves. prayerlessness is belittling a blessing. I have so often seen God blessing in response to prayer. It is doing and accepting what is not the best. It results in slowing our spiritual growth. 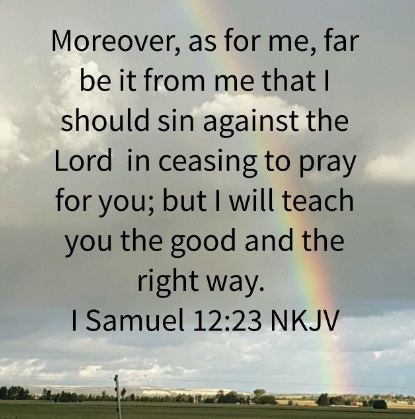 Even though what he wanted did not happen, Samuel did not cease praying. God had not answered his prayer? It was the people who did wrong - they had free will. He had not sinned, but would if he stopped. 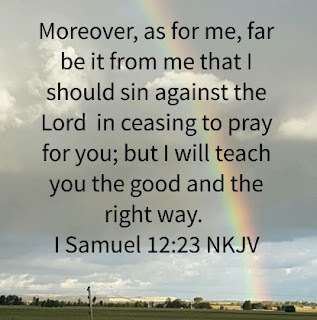 Samuel did not only pray, but also acted. He instructed the people. He could do this BECAUSE he prayed, and was in touch with God's will.